Veterinary practice ownership, like the continental drift, is gradually moving and shifting across our time. The trend now points toward increased corporate ownership and practice consolidators, whereas previously there were more private, solo-owned practices. For one, according to Dr. Taul, corporations are willing to pay top dollar for larger practices that associates can’t match. The trend has been gradual, but it is quite apparent. Every week, Keiser said he hears of young associates who were “promised” the opportunity to buy in. Instead, the hospital owner sells to a consolidator for a much higher price. “This phenomenon doesn’t make consolidators necessarily good or bad; it’s just a reality,” Keiser added. These types of hospitals tend to reflect poor management, culture, and medicine, Keiser explained. “No-lo hospitals can be a challenge to turn around due to years of certain management styles and medical philosophies, but they also present a phenomenal opportunity for a new owner with a passion for leadership, business, and medicine,” he said. Although a lot of factors drive change, it’s the younger veterinary generation (intentional or not) that is helping direct the flow. “Preferences of the younger generation have contributed to a lesser interest in practice ownership than generations before,” said David Murvin, co-founder of Houston-based Petwell Partners. Veterinary schools are graduating students in record numbers, giving the younger generation heftier swaying power. Class size has risen by an average of 1.8 percent a year for the past 30 years, according to the Association of American Veterinary Medical Colleges. The total number of new veterinarians entering the profession in 2016 was 4,477, as represented by the number of test takers who passed the North American Veterinary Licensing Examination, according to the AVMA. “Anecdotally, based on what I see at the school level, many new graduates are being drawn to corporate practice due to an emphasis on work/life balance, loan repayment programs, and very strong compensation and benefits,” Keiser said. Even if younger veterinarians want to purchase a practice, the feasibility of it proves more difficult than past generations. Renee, Rucinsky, DVM, DABVP (Feline), has a different perspective being owner of the feline-only practice, Mid Atlantic Cat Hospital in Queenstown, Md. Veterinary schools are indeed incorporating more resources about the ins and outs of practice ownership. Many young associates are also weary of the debt load of a hospital combined with student loans, which can make ownership prohibitive, according to Dr. Taul. 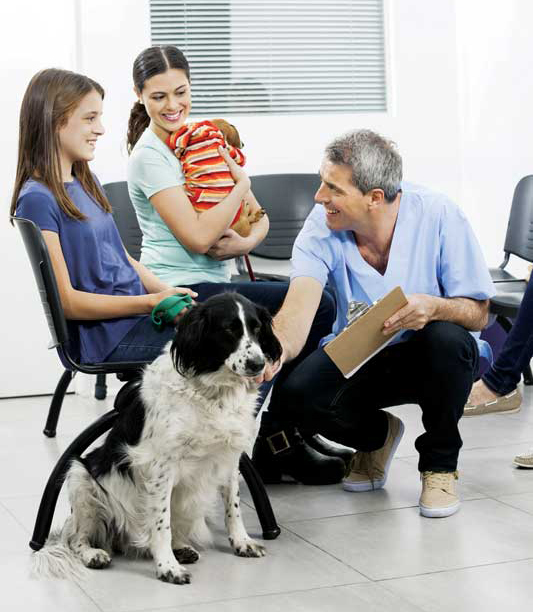 Small independent hospitals aren’t going to fall by the wayside, according to Pam Nichols, DVM, AAHA board of directors, owner of Animal Care Center in West Bountiful, Utah, and the Utah Dog Park. With this in mind, the future will be able to support both private- and corporate-owned practices, according to Dr. Rucinsky. Clients, not to be forgotten, are also helping drive trends. “So many people still want the small town, family, neighborhood experience in all aspects of their lives,” she said. “You can compare the locally owned practice to a farm-to-table restaurant. … Some people are more likely to trust the locally owned, independent practice. As Dr. Rucinsky pointed out, either option is fine as long as pets are receiving quality care.